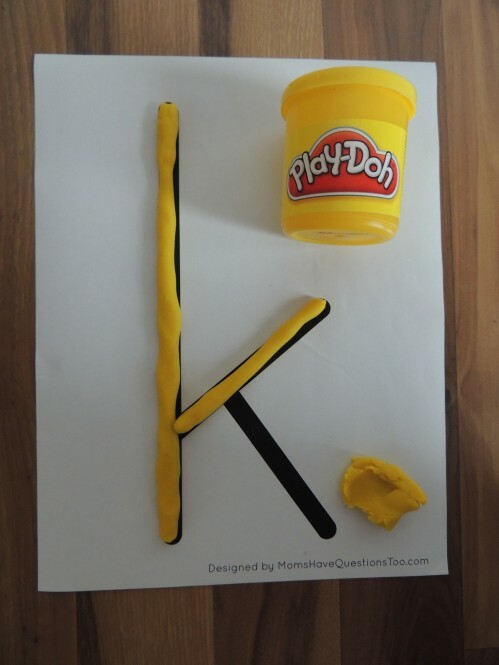 How can I use alphabet printables to teach my child the letters? Alphabet printables are a wonderful way to expose your child to the letters of the alphabet. There are so many different ways to play with these thin letter alphabet printables that are fun and educational. 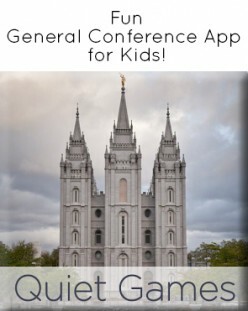 If you’ve seen any of my Toddler Curriculum posts, you have probably already seen some of them. Read on for 6 ways to use these thin letters. I made these thin letters a long, long time ago and thought I shared them on the blog, but a wonderful reader pointed out that they are not actually on the blog. So, today I have them for you to download for free! I used to only have the uppercase letters, but also made a lowercase version especially for this post. I use these printables in lots of different ways and I’m sure you can think of even more ways to use them! Here are my favorites. 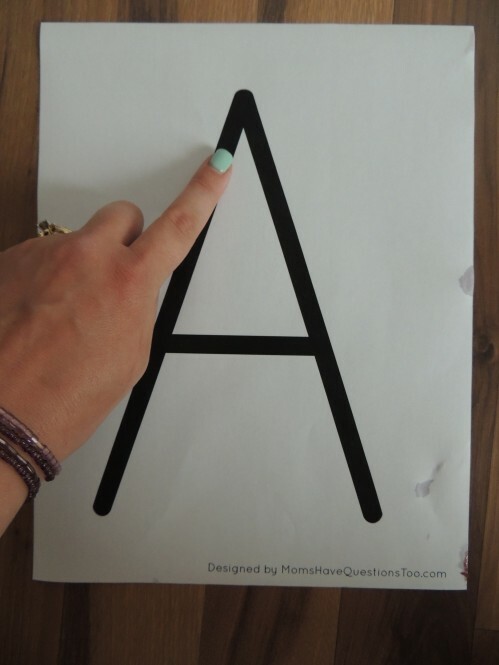 Have your child trace the letter using his or her finger. Follow my letter prompts to teach correct letter formation (uppercase, lowercase). 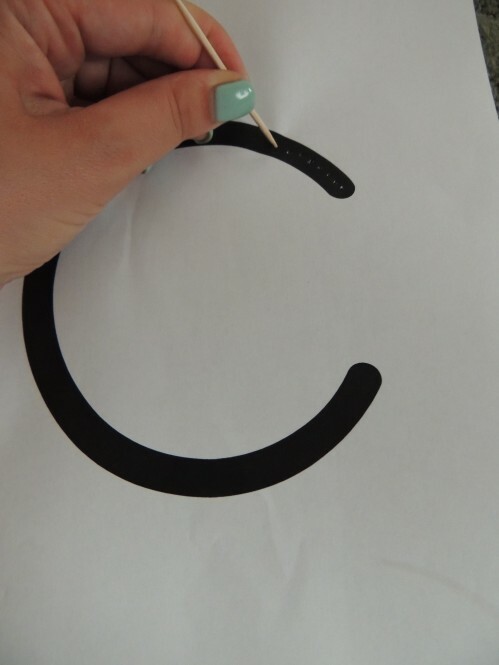 Have your child use a toothpick or oversized push pin to poke holes in the letter. Obviously you need to keep an eye on your child for this activity to prevent any injury from the toothpick or push pin. Buy oversized push pins here. 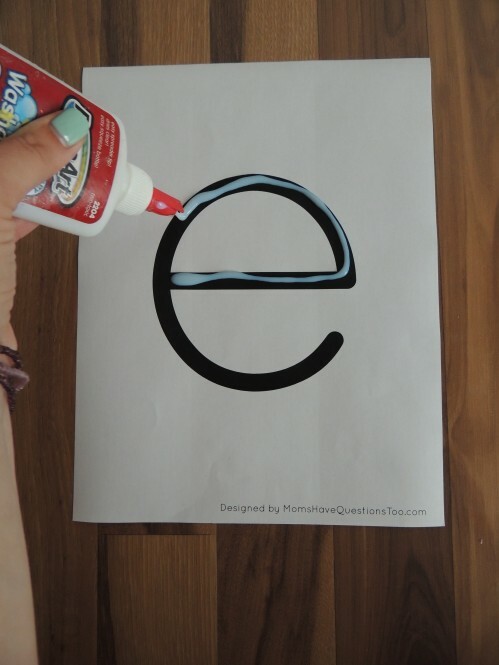 Have your child cover the letter with glue. You can do this once each day, if desired, and let the glue dry each time. 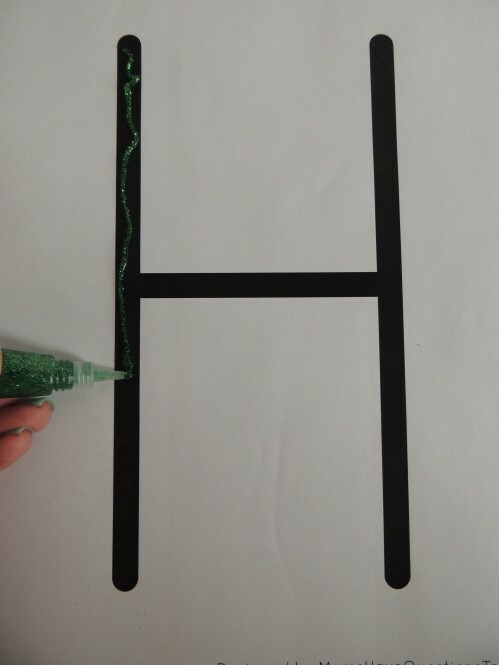 Use just like glue tracing, but use glitter glue for more fun! 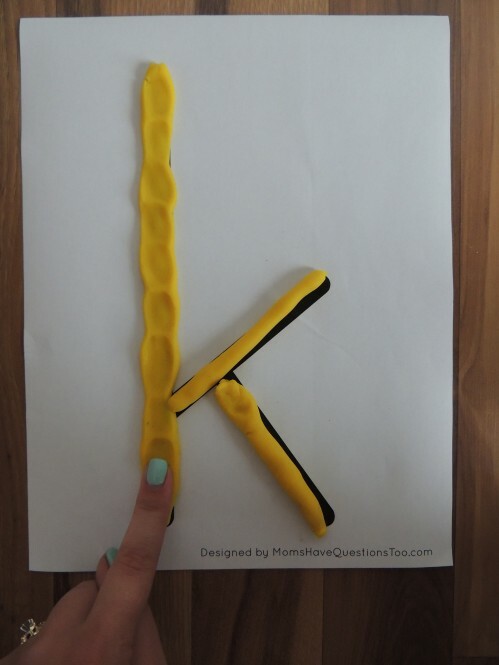 Make a long thin snake with playdough, then cover the letter with the playdough. For extra fine motor practice, press the playdough into the paper. See my favorite way to make homemade playdough here. Put the letters on the floor. Do all the letters or only a few at a time. Call out a letter and have your child jump on it. Call out another letter and have your child jump to that letter. 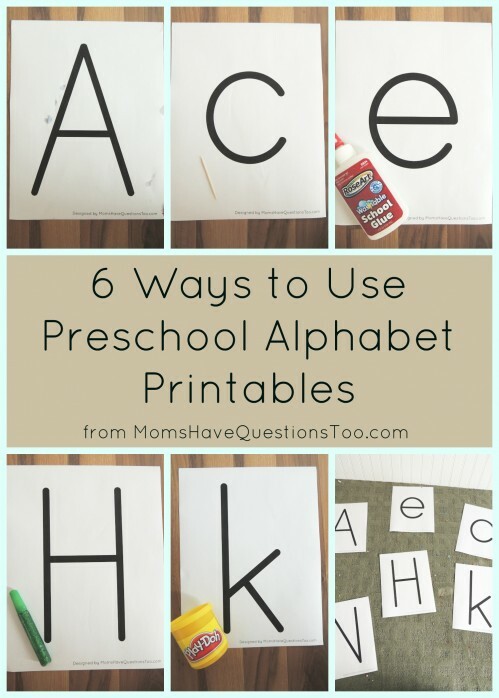 I’d love to hear your ideas for how to use preschool alphabet printables. I often do the same old activities with Smiley Man and it’s always great to get fresh ideas.